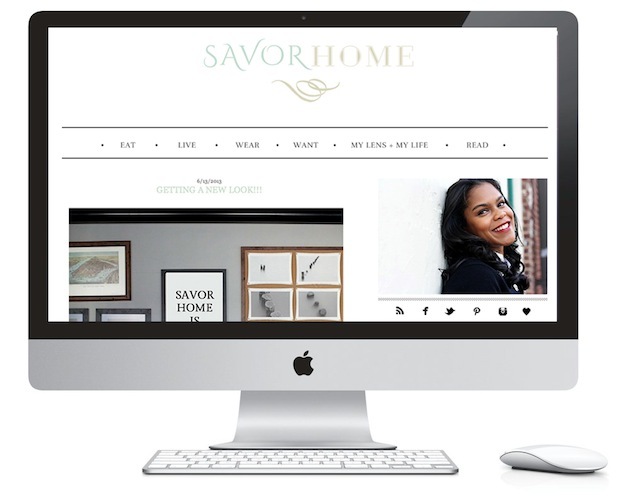 Savor Home: WELCOME TO THE NEW SAVOR HOME!! Hi there! Welcome to the new Savor Home! Do you like it?? Things haven't changed around here in a few years, so I felt it was high time for a fresh new look! So why this look?? A fun thing about blogging is looking back and seeing how your style has evolved over time. Savor Home has definitely changed over the last few years and so has my aesthetic. The look of my first post proves it. Click here to see it if you dare... :) These days I am attracted to all things simple, organized and comfortable. To get that look for the blog, I called on graphic designer Anna Liesemeyer of In Honor Of Design. I just adore her! We discussed the future of the blog, branding (something I never thought I would have to think about when I started this little site) and how we could translate my content into a simple and organized look. This is what she came up with and I could hug her for days! For simplicity, I wanted an all white background so that all of the content would pop. To make things comfortable, I kept the mint green color from my previous blog. I find that color to be so soothing! I've mentioned several times here that I'm slightly OCD, so the new navigation bar is one of my favorite parts! Needless to say, I am super excited about this and the future of Savor Home. A big thank you Anna for putting my thoughts to life. 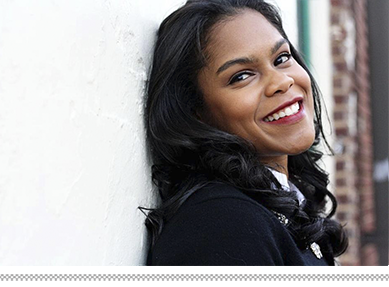 Also, a big thank you goes to Savannah of Maiedae, who developed the site and photographed my headshots. I'd also like to thank you, my readers, for all of your support. Thanks for inspiring me and taking the time to read my thoughts. I wouldn't be where I am or have anywhere to go without you. I thank you. LOVE the new look! It still feels very you, but updated! YAY!! looks so clean, love it! It looks fantastic!! Very clean and pretty! Looks amazing! Love the new profile picture. And, Anna is a doll!! Love the fresh new look, Tiffany! You are a beauty! Love this new look and your head shot is beautiful! It looks amazing! So clean, simple and modern. Love it! Updated without taking away from you...perfect! LOVE, LOVE, LOVE!!!! It looks gorgeous Tiffany!!! It looks wonderful!! I really need to revamp my own site at some point. Looks beautiful! Very nice and simple and your new picture is beautiful too! ( : Nice work! The new site looks and works absolutely amazing!!!! It totally suits you and your style. Great job!